The Isle of Man 2012 Centenary of RMS Titanic Coins are a stunning set of two coins which will make a wonderful addition to any historic coin collection. These highly collectable coins have been specially designed and issued by the Isle of Man to mark the 100th anniversary of the Titanic’s maiden voyage from Southampton to New York. 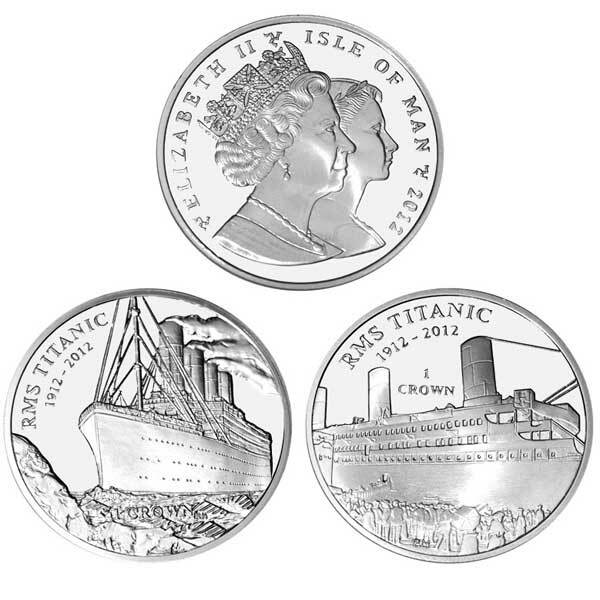 The first coin shows the Titanic as she sails across the North Atlantic with an iceberg in the foreground, the second shows passengers boarding the ill-fated vessel while its berthed at the docks in Southampton. 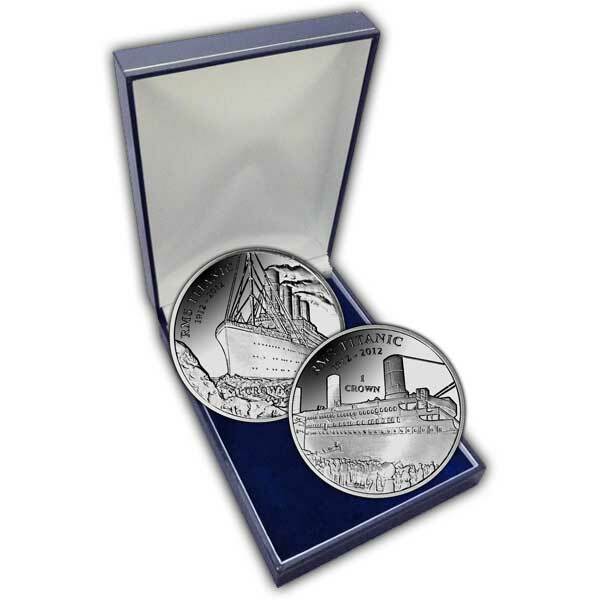 The Isle of Man 2012 Centenary of RMS Titanic Coins are available in Proof Sterling Silver limited to 10,000 of each coin worldwide and Uncirculated Cupro-Nickel. The obverse of the coins features a double effigy of Her Majesty Queen Elizabeth II in honour of her Diamond Jubilee year.